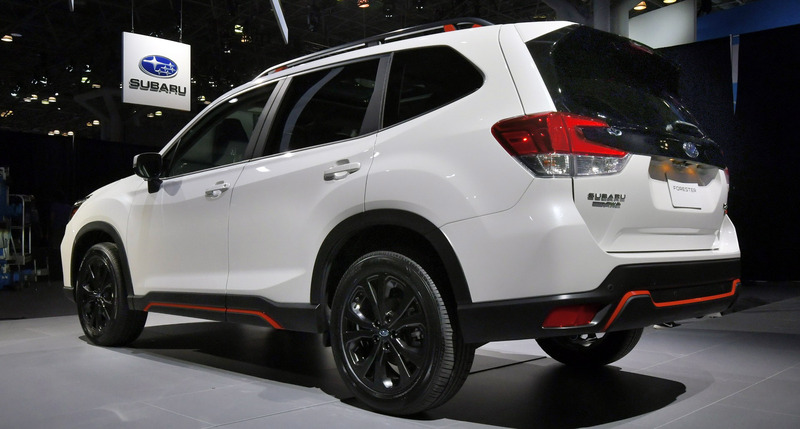 The 2018 New York Auto Show is in full swing and there’s a clear body style that’s shining through – SUVs – and both Toyota and Subaru had something brand new to bring to the market. To an enthusiast, the previous generation of the RAV4 was one of the most mundane vehicles you could buy. But to regular consumers, the car did everything well and ticked all of the right boxes. That’s probably one of the reasons why the automaker shifted more than 400,000 units last year, making the RAV4 one of the most popular machines in 2017. The 2019 RAV4 that was just unveiled promises to bring some pizzazz and enjoyment to the crossover. The RAV4 now features a rugged look that it borrows from some other masculine stalemates – mainly the 4Runner and Tacoma. There’s also a lot of FT-AC Concept, which we saw at last year’s Los Angeles Auto Show, in the design too. 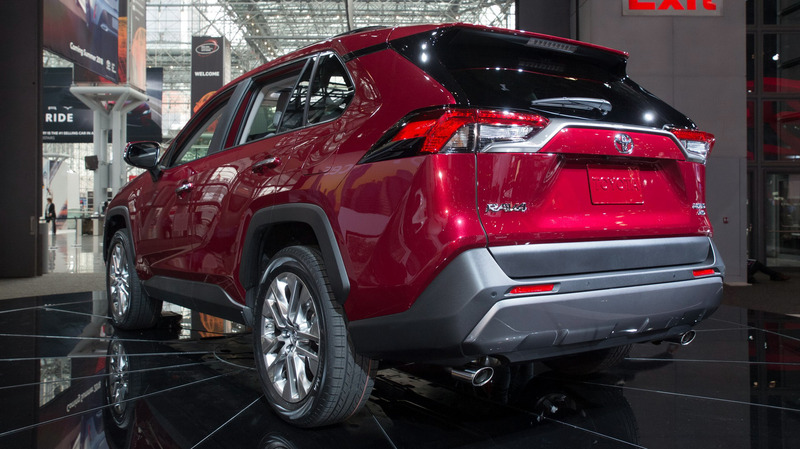 That’s not a bad thing, either, as the RAV4 has a much more aggressive design than the fourth-gen model. 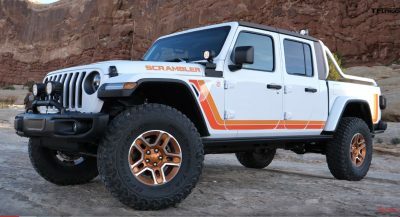 It’s not the best-looking SUV, but it’s definitely rugged. Toyota’s traded everything that was soft and vague for chunkier components. 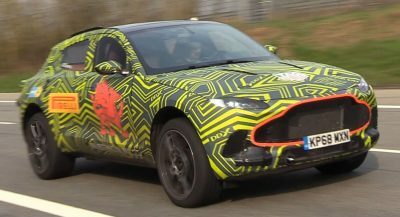 The massive hexagonal grille is chunky, the headlights are chunky, the front fascia is chunky, heck, the entire SUV is chunky. The new 2019 Subaru Forester, on the other hand, is a classier, more conservative SUV. Its exterior design won’t offend anyone and the few rough touches that the crossover does have, like the black trim piece that runs from the front fascia all the way to the back, will delight some consumers. Unlike the RAV4, Subaru didn’t completely revolutionize the Forester’s design for the new year. Only minor changes have been made to the SUV, like the rounder feature of the front grille, the minimally larger headlights, and larger fog lights. The rear end features lobster-styled taillights and some silver cladding on the rear bumper. Toyota hasn’t announced performance specs yet, but but both the RAV4 and Forester will be powered by 2.5-liter naturally-aspirated four-cylinder engines. It would be kind of pointless, though, to compare them at this point. What we can do, is provide you with a visual comparison between the two machines and see which one you like the best. At the front, the vehicles are drastically different. 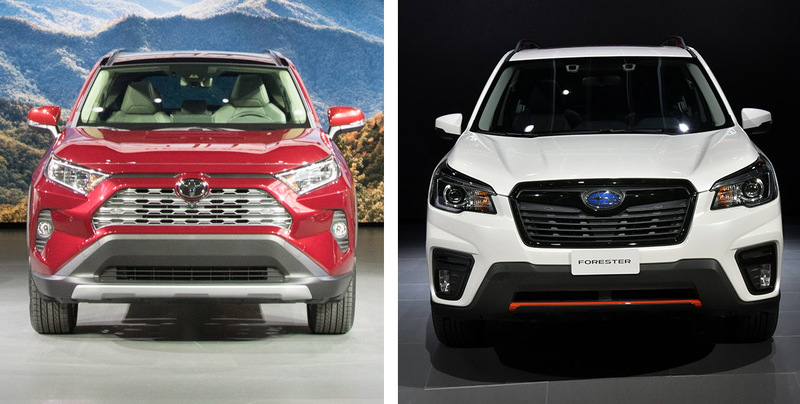 Toyota’s design is more in line with an angry ferocious animal, while the Forester looks softer with rounder lines. Around the side, both the Forester and RAV4 share similar designs. They’re both SUVs, so that’s not surprising. To our eyes, the RAV4’s sculpted D-pillar makes it the more aggressive offering. It’s the same story at the back. The Forester has the classic, upright rear end, while the RAV4’s behind has a more angular design. 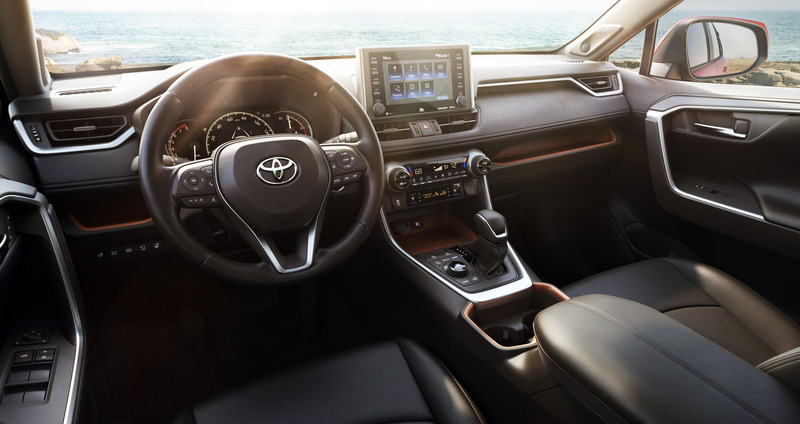 Their interiors follow a similar layout and theme with accents except for one major difference – the Forester’s touchscreen is integrated into the center console, while the RAV4’s looks like it’s been tacked onto the top. And the Subaru, oddly enough, is the vehicle with the more daring blueprint. So, which one would you spend your hard earned money on? Would you go for the brawny RAV4 – we still can’t believe Toyota has made a muscular SUV – or does the classically-styled Forester fit the bill better? Cast your vote below. As much as i like Subaru, the new Forester is just disappointing, so it’s the RAV4 for me. Looking at the Ascent and the Forester, I am not having high expectations for their upcoming Outback. I want to agree with you, but the RAV4 is just hideous. It’s all about preference, if you want Standard All-Wheel Drive and good space pick the Forester, if you want something that says “Look at Me”and also good interior space. then pick the RAV4. Bottom line is, you can’t satisfy everybody all the time. My forecast is that the Forester will continue its organic sales growth and that the RAV4 will lose sales as the rugged look will be a turn-off to the traditional Toyota/RAV4 customer base. 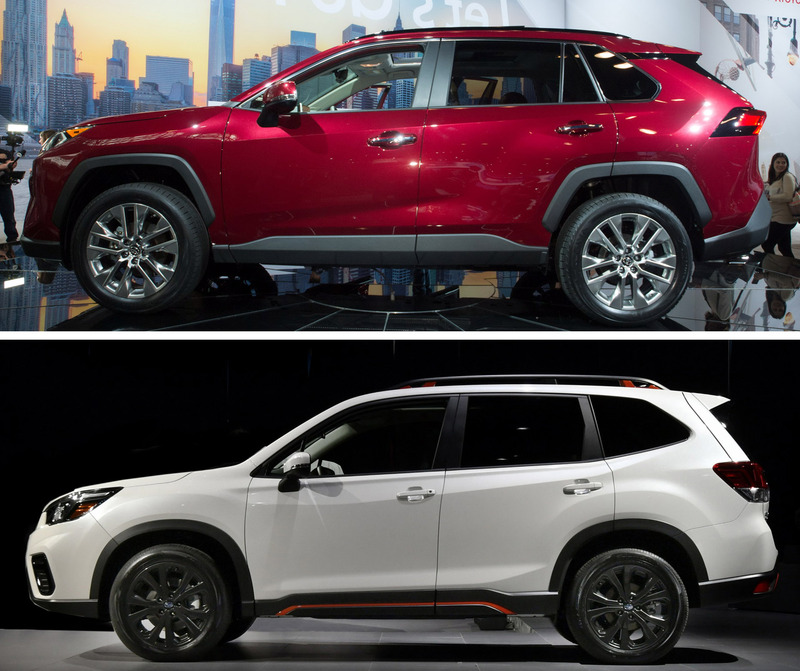 CUVs have been successful as it melded car attributes with SUV attributes. Toyota is taking away the car-like styling for more rugged truck-let styling and that will not appeal to women and older buyers. Was just about to say that, I don’t see the rugged look appealing to women, and women account for a large % of small SUV sales. Neither (ICE is dead to me), but if I had to choose – the Toyota by a wide margin. Subaru has dropped the ball again and is headed down the path the most other Japanese manufacturers took about 8-10 years ago (only to backtrack from it recently). The 5th gen Forester will sell great, but its shameful what they’ve done to the lineup. Pretty scathing review of a car manufacturing experiencing excellent sales growth year or year for a few years now. What are your specific example of shameful things Subaru has done to drop the ball? That is a really nice interior….and I am no fan of either Toyo or Subie. I was expecting some wilder rav4 and it is done.but subaru supposed to be better looking car, spesificially rear end is a bit disappointing. It might have been a closer match up in my mind if Subaru had continued to offer the turbocharged engine in an updated XT model, but for me the RAV4 is hard to beat. 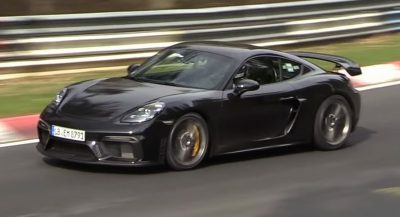 It has a more powerful base engine (203 hp/184 lb ft of torque compared to 182 hp/176 lb ft), has a more rugged exterior, a more upscale interior with better materials, and a hybrid model that promises to both be more powerful than the base model while also being more efficient. That’s some hard stuff to beat. The Forester does probably have better safety features standard (that’s kind of cool it can detect 5 different drivers) and it does still offer the best ground clearance at 8.7 inches. Are these cars based on the same platform? I know that Subaru is owned/controlled by Toyota. 16.5% ownership as reported by ABC. So a minority partner. I mean really, this is old news. They bought their stake after GM sold it. Oh no! You do know GM had the same interest in Subie a few years ago right? Please provide verification for your post. No Android Auto on the RAV4 is a bummer. Not for me. I’m a big fan of Waze and rather use the large screen that’s already built into the dash for navigation, notifications and media. While in-car systems can provide some of this via bluetooth, they usually have a poor user experience and aren’t updated or improved upon much after the car is released. They’re both fine cars, but painfully boring. 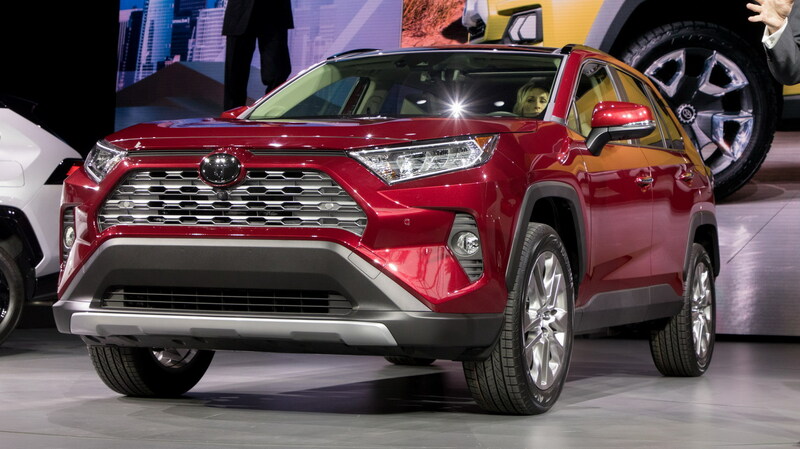 At least Toyota made the Rav4 look kind of cool. Neither have the power to back it up though and the Forrester’s interior still looks like it was last updated in 1995. Why change something that sells without annual frills to entice buyers? The VW beetle remained the same for years and it didn’t hurt its appeal or sales. My only complaint about the Subaru is the discontinuing the turbo. I would have to go with the RAV4 even though I’m preferential towards the Subaru. RAV4.. they should have called it something else though..
Let me think. The bang up to date RAV4 or the hideously outdated looking Forester? It’s a no-brainer! So the Forster loses on looks alone? What is it about the RAV4 that is up to date while the Forester is not up to date? RAV4 is not Android Auto capable but Forester is… that’s at least on item that the RAV4 is actually not up to date. Twenty plus HP by the RAV4 is a start. If Subaru needed to drop the turbo, at least they could match their competitor’s power. I still am undecided until I drive both vehicles. Both are not that attractive looking but I not going off roading; so I going to go with a luxury large size crossover for space and nice styling! Yes it double the cost of the base price but it more to my liking! RAV4 front looks more like a truck than a car. Also, while I generally like the RAV4 of 2018, I am reluctant to spend $30K+ on a totally new vehicle that hasn’t been fully tested.. Another major factor is the Subaru CVT is alleged to be superior to other manufacturers. I am also considering the Mazda CX5, primarily because of it has the conventional transmission. You could say I am facing a major conundrum. I can remember when they removed the ‘spark’ function from cars, and people said a starter button will never work. 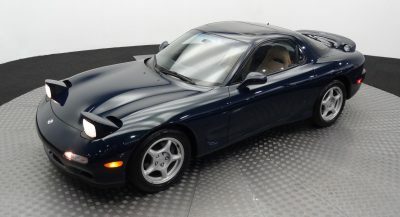 I am old, but still want a 2019 vehicle with all the technology. Haven’t decided which top 4 SUV I will get, but it will have all of the ‘bells and whistles’.